Forget Disneyland, let’s go to Vegas! Vegas baby! There are few places it, so vibrant and so full of possibility! And you know that if it is Vegas month, our bonuses are going to be over the top! On August, we want to celebrate Sin City and show you why we would not change a trip to the Strip for anything! 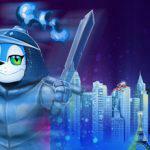 Let CoolCat take you around and show you the meaning of great bonuses and a good time! The first thing you want to do is check in our fancy 5-star hotel and let us pamper you with every service imaginable! 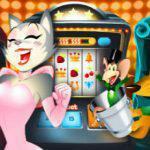 The CoolCat Hotel loves to cater to you, which is why it is giving you a 660% bonus exclusively for Slots and Keno. The good news is that the hotel fee is only a deposit of $30 or more! 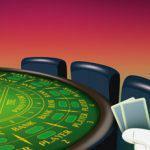 The wagering requirements consist of a 30X playthrough and a max Cash-out of 10X. 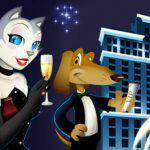 After a night of partying and winning at the CoolCat Casino, you met a nice honey and you know it’s forever! Then, why make true love wait? Take advantage of our Wedding Chapel bonus and let our Elvis impersonator show the special wedding promo we have in store! Enjoy your honeymoon with our 500% bonus on All Allowed Games (that means you can use it on all of our game selection except Baccarat, Craps, Pontoon, Roulette, Sic Bo, and War). Concerning playthrough, it is a 60X for Video Poker and Table Games and a 30X for the rest of games. The Cash-Out is superb; with a maximum of 10X, it gives you plenty of room to splurge on your spontaneous nuptials! What is a splendid night in Vegas without a little madness? After the experience you have had, surely you will like a memento to remind you of the best vacation of your life! Head down to our tattoo parlor and get crazy with our 180% No Rules Bonus! In this rock and roll establishment, you can get any ink you want with your deposit of 30 dollars or more! Triple your fun and your chip stack! Ring the alarm! Get ready for our 3×1 Happy Hour! 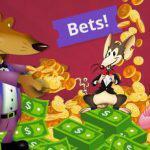 CoolCat’s bartenders are here to give you a 300% No Rules Bonus on Slots and Keno by depositing $50 or more! Want to know what the best part is? Our happy hour lasts all month and it never ceases to deliver! 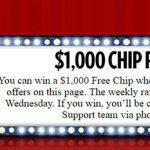 In fact, All of the bonuses this month are redeemable an unlimited number of times! Looks like you might want to tell your family and friends that you won’t be back for a month! VIP Celebration! You are #1 Vegas’ Influential Players this August! 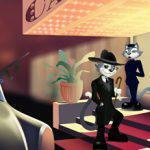 Coolcat is all about giving comps to those illustrious guests that visit the strip! That is why we have created the ultimate VIP bonus. If you deposit $30 or more, you will get a 325% coupon on all Allowed games! Make the most of this promotion with its 10X Cash-Out Max! Don’t forget that to cash out, the wagering requirements is a 30X playthrough. 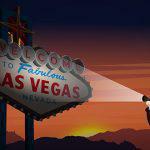 Enjoy Vegas to the maximum on August and see why it is the ultimate holiday spot. As author Chuck Palanhiuk once wrote, “Las Vegas looks the way you’d imagine heaven must look at night.” So, visit our Monthly promotion page and get all the codes for all these amazing Vegas coupons!